Combine scotch, sugar, and sparkling water in a cocktail shaker with ice. 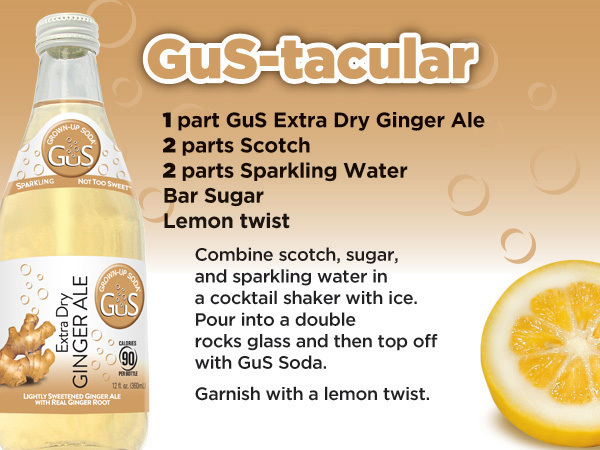 Pour into a double rocks glass and then top off with GuS Soda. © Copyright Utmost Brands, Inc. All rights reserved.